My two favorite hotel credit cards issued by Chase are The World of Hyatt Credit Card and the IHG® Rewards Club Premier Credit Card. My favorite benefit of each card is the annual free night certificates they offer, which to me more than justify the annual fees. However, there are lots of other perks to the cards. Neither of these cards are subjected to the 5/24 rule, so you’re potentially eligible to be approved even if you’ve opened five or more new card accounts in the past 24 months. Personally I have both of these credit cards, and I value them immensely for their respective privileges. Purely in terms of the annual free night certificate, historically I’ve valued the one offered on the IHG® Rewards Club Premier Credit Card more. That’s because it’s valid at virtually any IHG hotel, even those that would cost 60,000 points per night. Furthermore, the annual fee on the card is slightly lower per year than on Hyatt’s card. 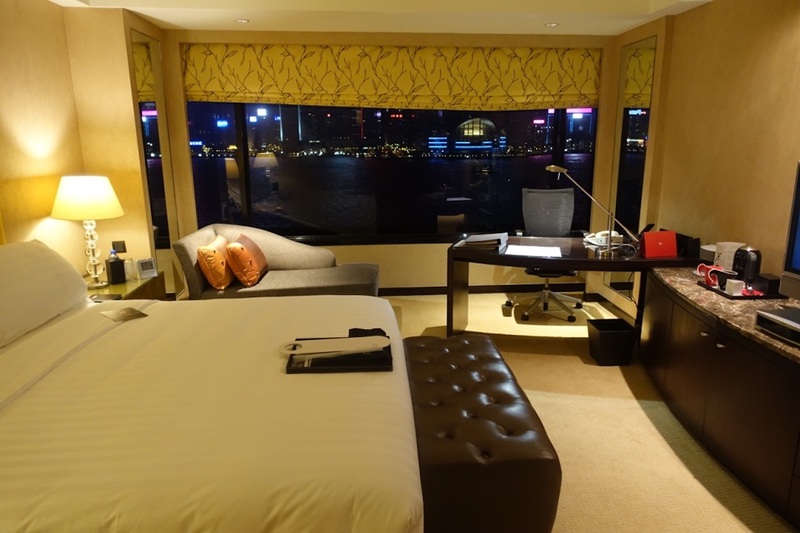 But there are some downsides to the IHG annual free night certificate as well. For example, while Hyatt offers free night availability as long as a standard room is available for sale, IHG has capacity controls. You still shouldn’t have issues redeeming it, but availability isn’t quite as good as with Hyatt’s certificate. Furthermore, personally I’m not loyal to IHG, and even IHG Platinum status doesn’t get you much in the way of elite recognition. As far as I’m concerned that’s totally fine, since you’re literally paying a $49 annual fee to get that free night certificate. It’s hard not to get outsized value from that. With the IHG certificate you have access to about 5,000 hotels, while with the Hyatt certificate you have access to a few hundred hotels. Historically I would have said the IHG free night is hands down worth more, given that it’s redeemable at even IHG’s best hotels, while the Hyatt certificate has category caps. However, my opinion on this is starting to change. As a World of Hyatt Globalist member, there are now some significant advantages to this certificate, including that as of 2018 you receive elite credit for stays booked with this certificate, which you didn’t previously. On top of that, Globalist members receive suite upgrades even on free night stays, complimentary breakfast, and waived resort fees and parking on award stays. While you are capped at a Category 4 property, personally I think I now value the free night certificate on The World of Hyatt Credit Card more than on the IHG® Rewards Club Premier Credit Card. Don’t get me wrong, I have (and will continue to have) both cards, and I think a large reason I feel the way I do is because I’m a Hyatt loyalist and not IHG loyalist. However, even so my perception has only recently changed, especially now that Globalist members get unlimited suite upgrades, free parking on award stays, and most importantly, stay credits for stays booked with these certificates. I’m curious how you guys feel — do you value the free night certificate on the Hyatt or IHG card more? Do Hotels Ever Ask To See AAA Cards? 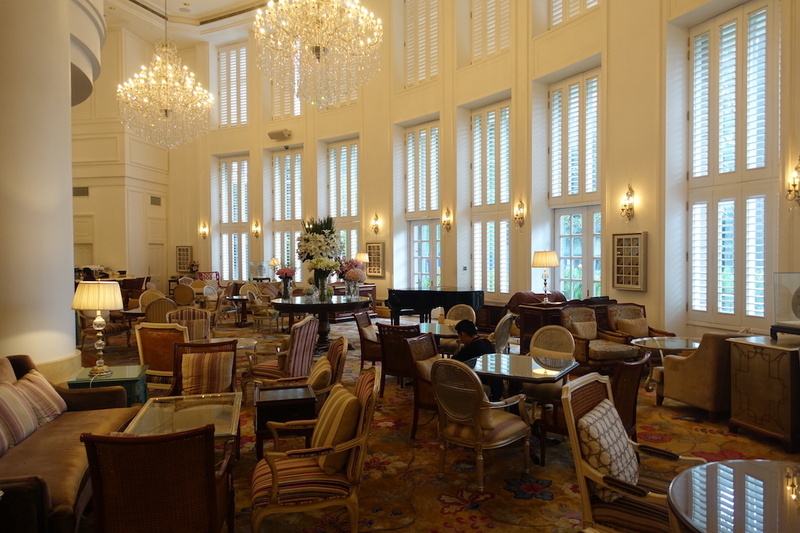 Did you ever do a review of the Park Hyatt Saigon? I can’t find one. How does the IHG certificate show up?? I have had the IHG card for almost 18 months and have not received any notice of a certificate?? …and I was just thinking cc nights at my favorite IC’s will be worth 70,000 points instead of 60,000 (which, of course, only increases their worth in IHG funny money). Still, DW and I can do a weekend in the heart of any major city, which I can’t with Hyatt CC nights. That gives the edge to IHG. The certificate should be redeemable via your IHG account. Once you log in, you’ll need to actually go to the “My Account” section. I’ve found this most easily accessed by clicking on your name in the upper right hand corner of the page, once you’ve logged in. They’ve recently updated their site, so it looks a bit different now. However, from there, you should see a counter to the left indicating the number of points you have, and a link underneath listing your free nights. If you’re going to devalue this benefit, please please please please choose to increase the credit card annual fee by a nominal amount rather than capping the hotel category we can redeem these at. Category 4 Hyatts are often nicer than most InterContinentals in my experience. lucky, sorry to post on a random thread, BUT…just got off the phone with barclay retention, upon voicing my displeasure with the silver aviator, the agent told me that there is a new product with a HIGHER annual fee (but would tell me no more as my account wasn’t eligible for the upgrade). do you have any idea what she was talking about, or was she just crazy? I also was on the phone today trying to get a retention offer, they said no Silver holders are getting retention offers now. @beachfan i certainly am having a tougher go of it than i used to with the red card ($89 statement credit many years in a row) but i have, by making 3 calls and ceasing my usual spend, finally gotten a decent offer: 10k miles after 1k spend and $100 after 3k spend (stacked). that being said, i am REALLY curious as to what this more expensive product is. it may not even be an AA product, and it was bizarre that she wouldn’t give details beyond “it exists, but you’re not eligible to change to it”. Definitely value the IHG one more. Hyatt’s footprint is just too small and Cat 1-4 reduces it even further. In Europe you’ve got the Park Hyatt Hamburg, sure, but beyond that you’re looking at the…Hyatt Regency Belgrade! Woooo? Meanwhile the IHG cert could be used at the Intercontinental London, Hotel Indigo Rome, etc. I preferred the InterContinental Hongkong over the Hyatt Regency HK (cat 4). I prefer the InterContinental Hong Kong over the Park Hyatt, too. There simply is no comparison to the IC Club Lounge. @David also, it is valid after one year, so you will not get the annual certificate right after you get approved. You will get it when you pay for your annual fee on the second year, since it is waived the first year. You should have one year to use it. So, since you said it has been 18 months, you still should have about six months to redeem it. If you do not know how to redeem it online, you can always call. They can do it over the phone. @Ben any report on Dragon Pass? I know you like using PP a lot, but Dragon Pass is their direct competition. Have you used Dragon Pass before? – Grand Hyatt Erawan Bangkok: Crammed tiny room and benefits at their lounge including breakfast. – Intercontinental Bangkok: Huge room and breakfast at their 2nd floor restaurant. Although I love both cards, for Bangkok properties, the IHG card (free room benefit) wins hands down! We both signed up for Hyatt , and IHG Chase cards. . We then stayed four nights at the Hyatt Regency ,the Churchill in London , four nights at the Holiday Inn Brighton Seafront . We could use our annual free nights for two nights at the same if we wanted . Well worth the annual fees . We intend to keep all four cards. If I were a Hyatt Globalist, I might agree, but since I am not the Hyatt card does not appeal to me. Does one get Platinum benefits on award stays with IHG?